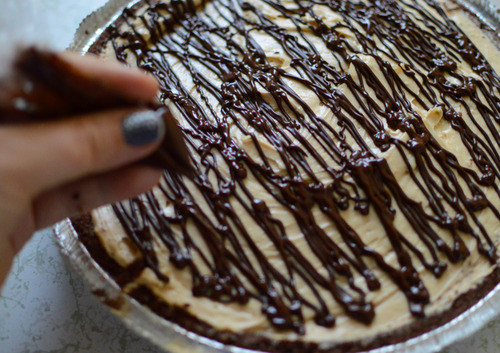 Why is this called “Buckeye Pie”? Aren’t Buckeye nuts poisonous? It doesn’t look like a buckeye…. YES I know. 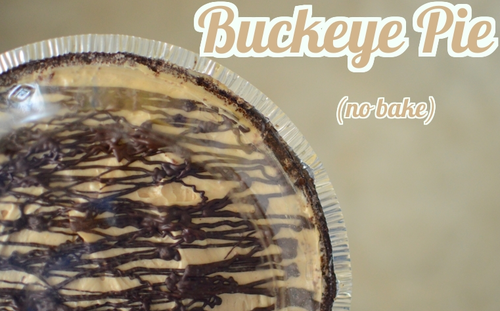 I’ve deemed this “Buckeye Pie” because of the big championship game that took place Monday, involving the Buckeyes… and the traditional “Buckeye cookie” is chocolate + peanut butter… like this pie. If you reside in Ohio, this was a huge cause for celebration. They took victory at the Sugar Bowl, and then went on to the national championship. Since I’m not actually FROM Ohio, the extent of my fanfare was in the kitchen, making Ohio themed treats. 1. 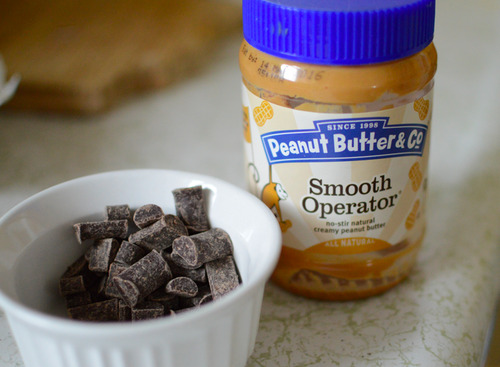 In a mixer, beat softened cream cheese and peanut butter together. Slowly add the cool whip, and then 1/2 cup at a time, add your powdered sugar. Mix until smooth [no lumps]. Pour into your prepared pie crust, and smooth around with a rubber spatula. Allow to set in the fridge for at least an hour. Melt 1/4 c. of chocolate chips in the microwave, 30 seconds at a time. Drizzle over pie.